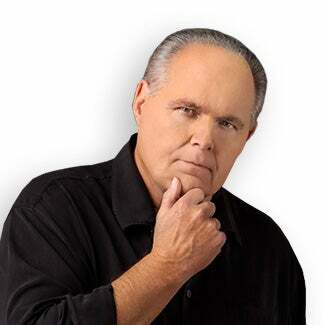 RUSH: Let me tell you what this so-called attack on Sean Hannity is — what it really, really is. It is another in a long line, in many years effort to destroy the credibility of advocates for conservative/Republican or anti-Democrat issues and personalities. Over the course of the 30 years on this program, I have been targeted in a number of different ways, but never have I been debated about my ideas. Rather, the criticism is always designed to destroy my reputation among people that don’t listen — and the purpose of that is to destroy my credibility beyond this audience. So that’s what’s going on with Hannity here. Having his name pop up as being involved with Cohen as maybe a client or whatever, provides the media an opportunity to take shots at Hannity. The purpose of this is not to put Hannity in legal jeopardy, although they would love to if they could. But the real purpose here is to simply discredit Hannity as a known, effective public advocate for Donald Trump. Donald Trump is the enemy. Donald Trump must be sent packing. Donald Trump must not politically survive. And the people who make effective cases for Trump are going to be hit and are going to be targeted, like effective spokesmen for Ronald Reagan were, like those who supported and advocated for George W. Bush. You name it. Ted Cruz, anybody. The objective on the part of the left is to destroy the credibility of people who advocate for things and people that the left and the media disagree with. So that’s what’s really happening here with Hannity — and if they can get him into legal trouble, all the more. It’d be icing on the cake. But there is so much glaring hypocrisy. It really frosts me. The hypocrisy never sticks to these people on the left. They define collusion. They define conflict of interest. They are architects of deceit. They are never forthcoming about who they really are — and if you try to find out, if you try to do an investigative report on some of these people, they start squealing like stuck pigs that you can’t, because they’re protected by the First Amendment. They are journalists — and, as such, they are never the story, so you can’t talk about them. It’s not relevant the way they’ve lived, it’s not relevant who they’re married to, it’s not relevant who they support because they are journalists. And these people are in bed with the enemies of Donald Trump. And they are doing everything they can to advance anti-Donald Trump interests. Now, what’s the difference in that and Sean Hannity who is advocating for Trump? They hoist Hannity up and they say, “He’s not qualified because he’s lied to you. “He hasn’t told you that he knows people in the Trump inner circle. He hasn’t told you. He hasn’t, quote, unquote, ‘disclosed. '” There isn’t a person in the world that doesn’t know where Sean Hannity’s mind and heart is because he doesn’t hide that from anybody. He advocates for what he believes in. But we live in an era where only certain people are allowed to do that. The media’s allowed to advocate against whoever they want, and that’s how they advocate for what they want. Answer: There isn’t anyplace else. Not really. “Well, then how do you know?” Well, I’m very confident in what I believe. What I believe and think is the result of a lifetime of care, study, interest, a lot of time spent learning and understanding. So I have a base foundation of knowledge which forms my opinions — and in that way, I’m able to recognize crap. I’m able to recognize the lies. I’m able to recognize the BS. I’m largely able to recognize it institutionally, meaning you tell me something is in the New York Times and I’ll be able to guess 95% of the time what it’s gonna be. You tell me the issue, you tell me the person, and 95% of the time I’m gonna be right. “So how do you go out and find news?” Well, you know what I do? I actually collect news via RSS feed. Real Simple Syndication is what it stands for. But RSS readers are simply aggregators. I pick sites that I like to read things from, and everything those sites publish gets thrown into my RSS reader, and it’s updated as stories are updated. The New York Times… Well, I don’t have them in my feed. I don’t need the New York Times to know what the left is saying or thinking. But if I did, if the New York Times publishes a story on something, the minute it’s published, it’s in my RSS feed, and so is any other source publication or broadcast outlet or whatever. And it’s updated constantly, never stops 24/7, as news is published or broadcast, the RSS reader — and there are any number of them — and that’s how I do it. I don’t have specific sites that I think are better than others or objective. I don’t have singular blog posts that I think are better. I just look at everything, and what I’m looking for is actual news, things that have actually happened. I don’t need other people’s opinions. I have my own. Although sometimes it’s helpful. If something’s really crazy, if somebody’s thinking something really insane about something, I might delve into why. See if there’s any kind of sociological reason for it. But my point in all of this is that they’re not journalists. They’re hounding Hannity for not being a journalist. They say, “Sometimes he says he’s journalist, sometimes he says that he’s an advocate. Now he says he’s an advocate-journalist, a journalist-advocate.” Sean Hannity doesn’t have to explain himself to anybody, and neither do I. Certainly not to these people! “So but you’re not pro-Hillary?” “No way! No way! We are anti-Trump” “So you’re anti-Trump?” “Well, we just trying…” They are pro-Obama. They are pro-Hillary. They just aren’t honest about it. But they can’t hide it, they are so open. Hannity is honest about it. He doesn’t hide things, things that he believes, people he knows. The Cohen thing? I have a prediction on this. I think that this kind of thing is not normally what would happen. Lawyers are not generally forced to give up their attorney-client privileged data, and they’re not forced to name their clients, and people are not forced to name their lawyers if they’re not under investigation for anything. And yet all of this is being made public, and it’s being made public by the people in the Washington establishment who are trying to rid themselves of Donald Trump. So we’re looking at the attempt to criminalize, yet again, political differences. Daily Caller: Michael Cohen's Third 'Client' Revealed: Sean Hannity. Hannity Responds.